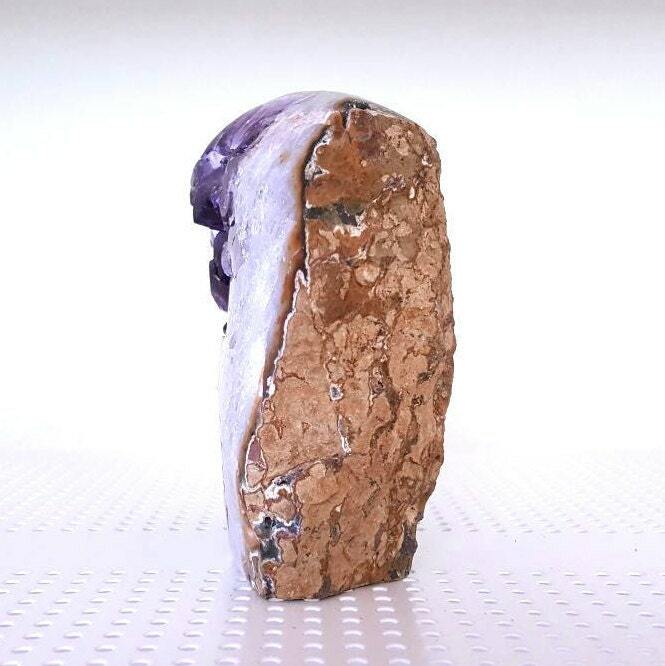 Polished Uruguayan Amethyst Geode PL3-043! 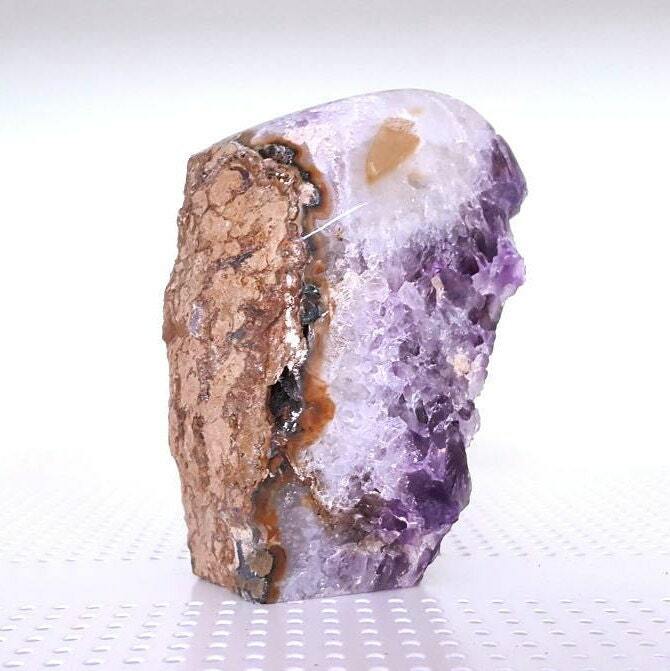 Semi-Polished Uruguayan Amethyst Geode with beautiful agate and quartz ! PL3-043. Absolutely stunning! Our Amethyst is completely untreated, except for minor polishing. 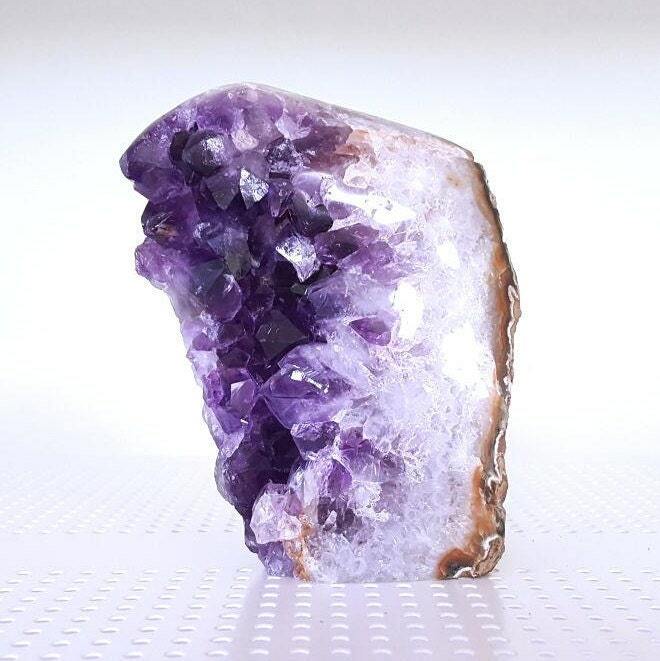 None of our Amethyst is bonded or covered in cement, and we import DIRECTLY from the mines in Uruguay. Amethyst is a remarkable stone of spirituality and contentment, known for its metaphysical abilities to still the mind and inspire an enhanced meditative state. Its inherent high frequency purifies the aura of any negative energy or attachments, and creates a protective shield of Light around the body, allowing one to remain clear and centered while opening to spiritual direction. Amethyst stimulates the Third Eye, Crown and Etheric Chakras enhancing cognitive perception as well as accelerating the development of intuitive and psychic ability. It initiates wisdom and greater understanding, and is a stone of comfort for those grieving the loss of a loved one. Amethyst is considered one of the Master Healing Stones. The very best Amethyst available, comes from Uruguay. Uruguayan Amethyst is coveted for its spectacular beauty and is highly valued due to its rich deep purple color and durability. Unlike its Brazillian counterpart, this Uruguayan Amethyst has been ‘treated’ as minimally as possible. 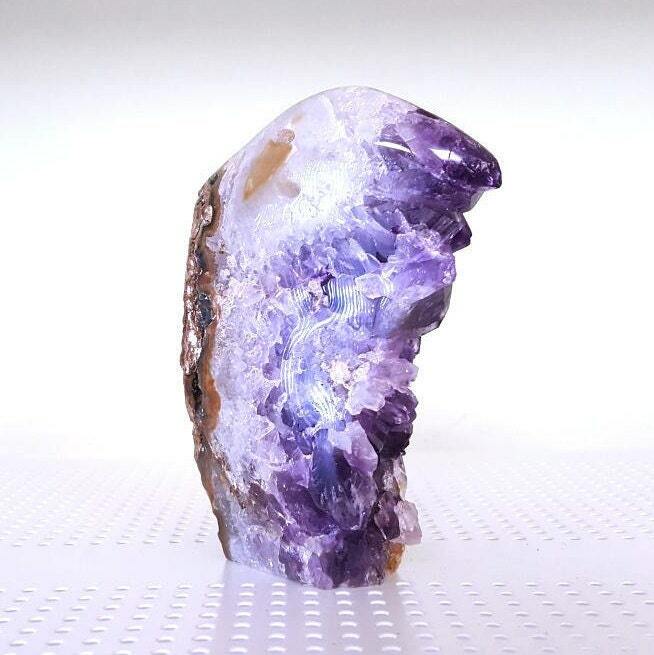 Most, if not all, Brazillian Amethyst has been treated by applying concrete as a backing onto the rock. This is done to help support the structure of the Amethyst as well to attempt to make it more ‘uniform’, however in doing so, it also brings up the weight of the piece. This makes it more expensive to the consumer. 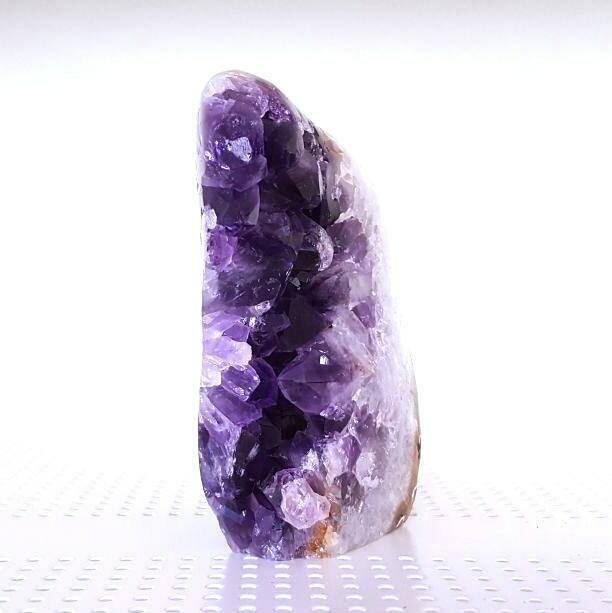 Our Uruguayan Amethyst requires no such structural support and is usually found either rough, or very slightly polished on the front side, providing the true look and feel of the gemstone as it is found in the earth. Are you a business owner? We offer wholesale prices as well to approved customers!! Full payment is required prior to shipment of product. Item(s) will be mailed (unless otherwise specified) within 3-5 days of receipt of payment. Shipments are sent via Canada Post and can take 5-15 business days to reach your destination. Customs processing may extend this period. We do not issue refunds or exchanges. Packages are NOT tracked or insured. Your order is made at your own risk. Although very rare, items may become lost in transit, in these circumstances Inner Circle will not be held responsible, however we will work with you and the shipping company to try and locate the parcel as best we can. Larger items generally come with a tracking number, however this is not guaranteed, if you would like confirmation before ordering please contact us beforehand. In some cases orders will come with a tracking number even if one is not requested, this occurs when shipping to your destination costs the same with or without a tracking number. In these cases, you will be notified of the tracking number at the time of dispatch. If you would like a tracking number there may be an additional charge on top of your orders original shipping cost (this cost is determined by the post service), If you would like a tracking number you MUST contact us before placing your order. We recommend tracking on larger orders going to international countries. In the unlikely event that your item is damaged in transit, please contact us so we may make arrangements for a refund or partial refund. We may ask you to return the item depending on the damage sustained. You may be charged import fees, duties or taxes on your parcel, these fees are the responsibility of the customer and are not covered by the shipping charges. If you have any other questions or concerns regarding shipping or anything else, please do not hesitate to contact us!